Abraham Rash is a first year law student with the McGill University Faculty of Law and an associate editor with the McGill Journal of Sustainable Development Law. He holds a Bachelor of Arts in History from North Carolina State University and a Master’s in Public Administration from the University of Vermont. He has previously worked for the United States Peace Corps and the United States General Services Administration. 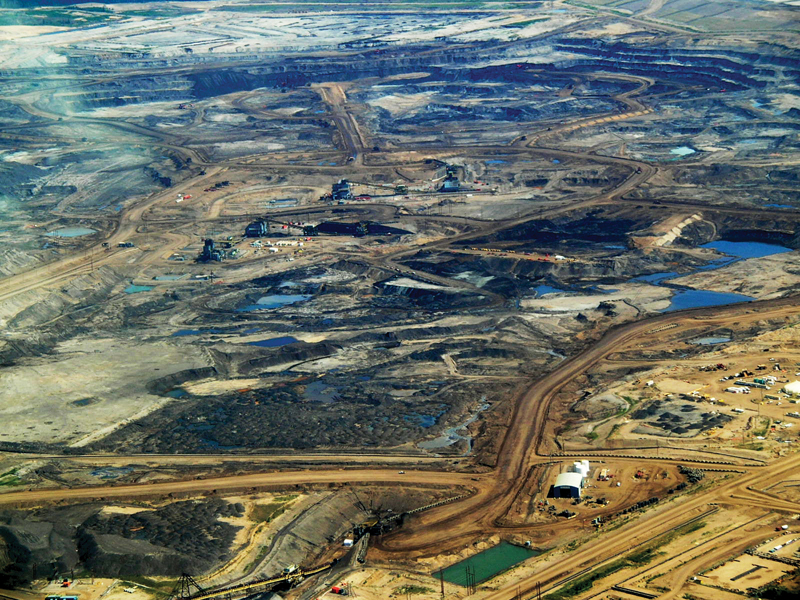 Fifty years ago this month, the Great Canadian Oil Sands plant began commercial operations in Fort McMurray, Alberta. As the world’s first large-scale oil sands surface mining and refining plant, it proved to be a mixed blessing. On the one hand, it brought jobs and wealth to the region for five decades; on the other, it caused irreparable environmental harm to the Athabasca River basin and sweeping cultural changes for the First Nations who inhabit the area. From a legal perspective it has also proven to be a Gordian knot of increasing complexity. When the plant was first established, little thought was given to either the role or the concerns of the First Nations beneath whose lands the oil sands were found. However, in the fifty years since – and particularly in the thirty-five years since the passage of the Constitution Act, 1982 – there have been great strides in the value placed on Indigenous rights, and to the point that Alberta is now consulting and accommodating First Nations as it is required to do under s. 35 of the Constitution Act, 1982. In purely economic terms, there can be little question that the oil sands have been of enormous benefit to the region, to Alberta, and to Canada as a whole. To date, the oil sands project has resulted in an estimated C$217 billion in capital expenditures; it provides direct employment for an estimated 151,000 people across Canada, with that number projected to exceed 225,000 by 2038; the Oil Sands Sector Fund provides some of the most consistent returns in Canada; and these benefits are only expected to grow in the future. Broadly speaking, the oil sands project has brought skilled labor to the region, provided jobs and stability for thousands, and has been a spark of economic life in an otherwise sparsely populated northern forest. Of course, it isn’t a perfect picture. To begin with, there is the obvious fact that every drop of oil burned contributes to the growing specter of greenhouse gas emissions and climate change. But even then, the oil pulled from the oil sands is ‘dirty’ oil, i.e., thick, crude, and especially difficult – and expensive – to extract and to refine. Every step of the process creates far more pollution than most other forms of fossil fuel extraction, from the open pit mines where it is dug, to the tailing ponds where the bitumen is separated out, it takes two tons of sand to yield one ton of oil. In addition to the direct negative impacts of the mining itself, there is also damage to the water table, pollution to lakes and streams, air pollution, and the irreversible and unsightly blots of the old strip mines themselves. It’s also hard on the people who live in the oil sands regions, particularly the First Nations of Northern Alberta. In addition to the health risks occasioned by the refining itself, there are also a number of social ills associated with the industry. Housing prices in the region tend to boom and bust in lockstep with oil prices. In November 2007, the average price of a single family home in the region exceeded $600,000, a price increase of over 300% since 1990. However, by August 2016, the average residential home price had fallen to $390,615. The vacancy rate for apartments in Fort McMurray is virtually zero, as the price of modest two-bedroom accommodations averages over $2,000 per month. Similarly, inflation (measured by the Consumer Price Index) has risen steadily, despite decreased wages, and drops in oil prices drive booms in crime, particularly among First Nations. The sum of these and other effect has been dissolution: as the Chipewyan Dene Nation that has inhabited the Athabasca river region for centuries has seen the destruction of the forest and river habitats that support their traditional hunting and fishing lifestyle, they have experienced a corresponding unraveling of the social fabric of their communities. Fortunately, both the environmental and social problems are receiving increasing attention both in government and within the industry itself. Despite the profound damage done by the Harper government’s so-called ‘war on data’, oil sands monitoring has greatly expanded in scope and grown increasingly over the past decade. A joint Canada-Alberta Implementation Plan for monitoring was drafted in 2012, and a symposium was held in 2015 to focus on lessons learned. It is true that progress hasn’t been uninterrupted, as a report from 2016 on failures to adequately support Indigenous communities in the region highlights, but by all markers the state of the region is improving from a time when oil companies acted with impunity. Of course, the big question is, what next? It’s difficult to predict the future of the oil sands project with any certainty, but one recent development with enormous implications for both the industry and the region is a lawsuit brought by the Beaver Lake Cree Nation in 2012, arguing that the cumulative effects of oil sands and other environmentally destructive industries have violated their treaty rights. The nation won a landmark decision in 2013 in the Alberta Court of Appeal in Lameman v. Alberta, and they are continuing to push their case today. Whether they are successful or not, it seems certain that increased attention to the environmental and social impacts of oil sands extraction and the need for increased consultation and partnership with First Nations are both here to stay. Interested in learning more? We suggest these articles from our past issues. Crown Policies on the Duty to Consult and Accommodate: Towards Reconciliation? Published by MJSDL on October 31, 2017 at 4:22 pm under Uncategorized. 0 comments.